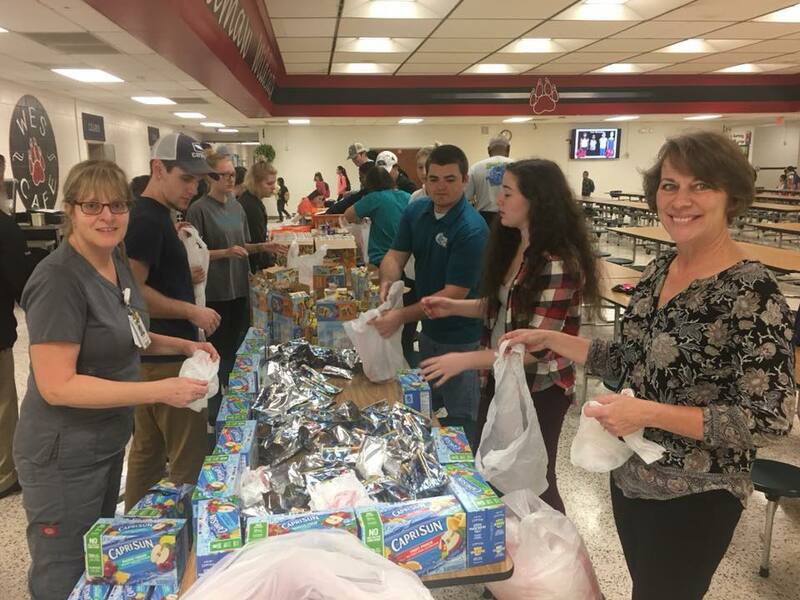 Carolina Forest Sunrise Rotary Club, along with CCU’s Rotoract Club and staff from the Lab at Conway Medical Center braved the early morning showers to pack Smart Snacks this morning. The three organizations team up every Friday morning at 6:30 am at Waccamaw Elementary to bring good nutrition to school kids over weekends. To join us next week, contact us for more information!